Today, I'm excited to be one of the review stops on the Withering Hope Blog Tour! Add Withering Hope to your Goodreads to-read list here. 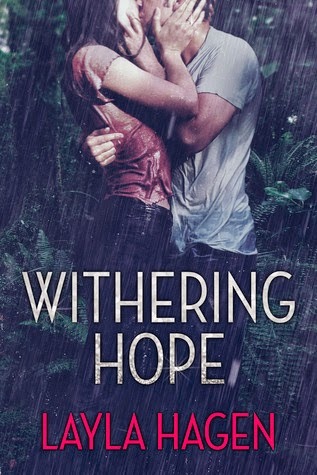 I really enjoyed Withering Hope (and this title is so appropriate for this book). I really enjoyed getting to know Aimee and Tristan as we're given the first-person narration from each of these characters view points, with Aimee getting 80-90% of the narration. Aimee was a great character, she's strong, smart and empathetic. Readers will root for her survival as she is a very down to earth character. If I have to be deserted some place, I would love for Tristan to be my pilot! This man was cool and calm in the face of all danger, and always put Aimee's safety above his own. And his knowledge of survival skills really came in handy. I'm pretty sure I wouldn't make it in the Amazon rainforest passed a day, seriously, there are so many things that I never would have considered being potential dangers that Layla has written in this standalone. I also love that I learned some new facts about the Amazon rainforest from this book- I have no idea that it was flooded in lower parts for months at a time. Layla does a fantastic job of describing the Amazon setting with its lush nature- I could easily picture it in my mind. 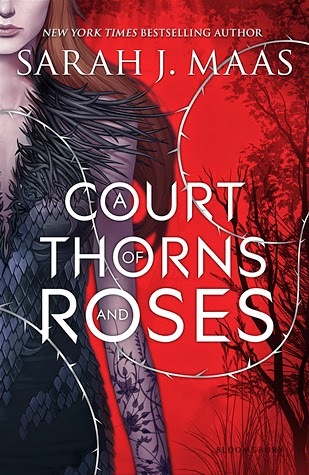 There is a bit of action in this book, but it is very character-driven, the dialogue and romance between Aimee and Tristan was well-paced and interesting, which really helped the plot flow well. I would recommend this read to readers looking for a quick read with action, adventure and inevitable romance! But wait!!! 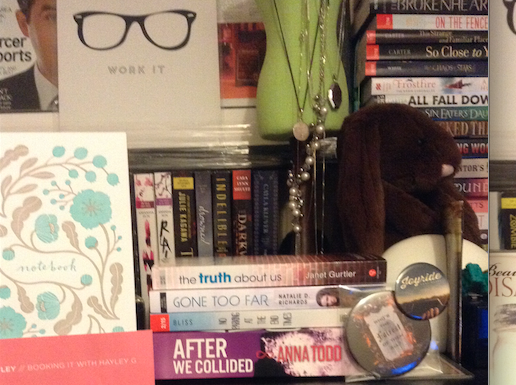 Before you go, Layla has a wonderful International giveaway for you! To enter, fill out the Rafflecopter form below, Good Luck!!! Special thanks to Layla and Xpresso Book Tours, for allowing me to participate in this tour!!! 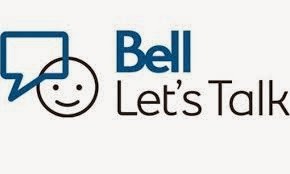 Today, January 28th, is Bell's Let's Talk Day click here for full details. Young people aged 15 to 24 are more likely to experience mental illness and/or substance use disorders than any other age group. Nearly 4,000 Canadians die by suicide each year – an average of 11 suicides a day. After accidents, suicide is the second leading cause of death among youth aged 10-19. *Disclaimer - The above facts and statistics have been directly copy and pasted from the CAMH (Centre for Addiction and Mental Health) website, for further information on the origin of these statistics, click here. These numbers NEED to change and it's up to US to help reduce the stigma that continues to surround Mental Health. A very wise individual used this analogy once- "You wouldn't be ashamed or embarrassed to talk about a broken leg, so why is it that we seem to be so uncomfortable discussing Mental Illness?" Mental Illnesses aren't a choice anymore than it's a choice to suffer from Cancer, diabetes etc. We have the opportunity now, to lead by example and show youth of today, that it's ok to not feel well, mentally, it's ok to talk about it and that there ARE other options than suicide, no matter how difficult it seems or feels, it CAN and WILL GET BETTER. - BE CONSCIENTIOUS - Watch your words, phrases such as "I'm feeling really OCD or Schizo today," could be seen as insensitive to those whom, suffer from this illness on a daily basis. - BE KIND TO OTHERS & YOURSELF - If able, be an ear for someone going through a difficult time. Give yourself time, if you feel anxious or upset, take a break- many people take smoke breaks, allow yourself a mental break- YOU DESERVE IT. - NEVER BE AFRAID TO ASK FOR HELP - There are many organizations whose sole purpose is to be their for YOU, no matter how much it may seem like it, YOU'RE NOT ALONE. The following helplines were taken from this website. Happy Reading and Happy Mental Health to you all!!! Add The Stars Never Rise to your To-Read list on Goodreads here. Add Outside the Ropes to your Goodreads to-read list here. The responding officer from that night, Anthony Fields, comes with no demands. He want's whatever she's willing to give, and Regan can handle that. She can definitely handle him. Readers be warned, once you start this read, you won't be able to stop, and it's a rather meaty read! I first saw a giveaway for this one on Goodreads, it sounded really intriguing and I was so eager for it to release. Let me tell you, this one does not disappoint! Loved it! Regan is an awesome heroine, so amazing, she has been through so much and it's only made her stronger. I'm so glad we get to see the world Claudy has created, through Rea's eyes. Simply put- she's a fighter (literally and figuratively)! Dexter is such a great character, a little self-absorbed, but completely adorable and lovable. Anthony was a bit of a enigma, I feel like Claudy originally wanted to make him good/likeable character, but changed her mind half-way, because my opinion of him completely changed. I'm undeniably addicted to this series and Wattpad! I had to read Book 2 and Book 3 right away, trust me, once you've read Outside the Ropes you'll want to get your hands on book 2 as well! Although I feel the need to warn that if you shy away from violence, than it's best that you pass on this one, Outside the Ropes is filled with great characters, plot and action, but it also contains A LOT of violence. Ultimately, I would recommend this read to fans of romance and new adult whom don't shy away from violence. The Conspiracy of Us on Goodreads here. Readers beware!- Take a deep breath before diving into this one! 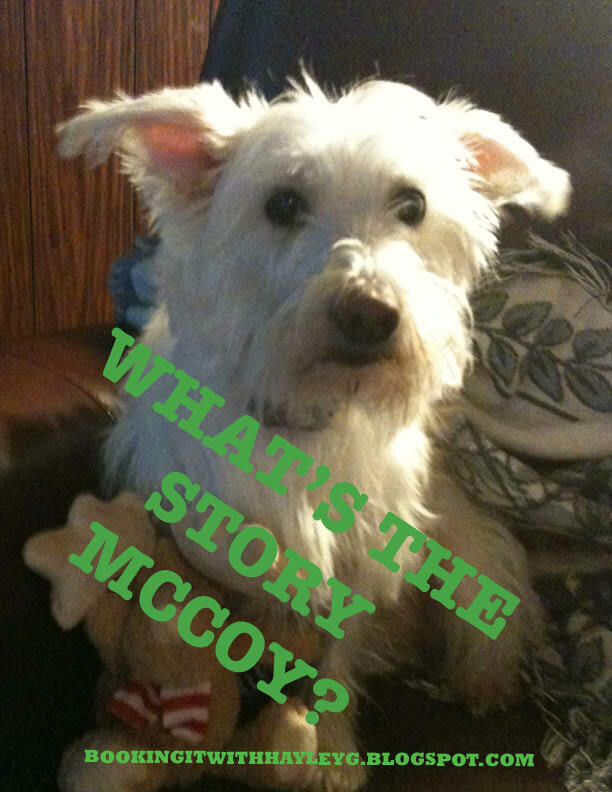 The two leads in this story were on the so much that I felt out of breath for them! The Conspiracy of Us is action-packed from page one through to the end, however, Hall does an amazing job of balancing story and plot twists into this read. Fans of the Amazing Race will enjoy the constant journeys Avery must take in order to solve an Ancient riddle. I'll be honest, I was lost a couple of times during this read, with the constant Greek Myths and riddles, Avery and Jack must solve, it was hard for me to keep up, but this read has definitely made me interested in studying up on Greek Mythology! Avery was a great narrator, very brave. At first, I thought her a little too trusting, but I can understand her desperation to find out where (or who) she came from. She's very smart and well read on current events, I must admit I'm not sure I would've recognized as many political faces at that age haha. Jack is a great hero, and counterpart to Avery, the romance between these two is very subtle in its build-up. But be warned, Hall has done a fine job of setting up a love triangle for book #2, and I think there will be many readers who will be team Stellan, with his no-bull, take-charge attitude, I'm sure we're going to see much angst among these three in Hall's sequel. And speaking of, sequel, can I have it now? Seriously, Hall ends off with a somewhat cliffhanger in The Conspiracy of Us, but rest assured, there'll be enough satisfaction that no one will feel the need to throw their book or e-reader at the wall (we've all had those moments :)). 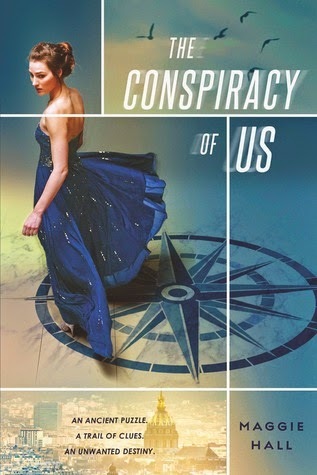 Ultimately, I would recommend The Conspiracy of Us to fans of the Young Adult genre- it's got a great blend of action and mystery with a dash of romance to satisfy the romantic in us all! Today, I'm happy to be one of the stops, on the Intensity Blog Tour! Add Intensity to your Goodreads to-read list here. I was unsure when I first started reading Intensity if I would find the story believable, things just seemed too picture-perfect in chapter one, but rest assured, this book is great. Serena is a likeable character and narrator and most of the story is told from her first-person point-of-view. She's in her young twenties and up to her eyeballs in debt, and just lost her only known-relative- the reader will sympathize with her. Linc was by far, my favourite character, he has an easy confidence about him that is undeniably attractive, although I have to admit I'm not a fan of ponytails on guys, haha. I was unsure of his motives when he first meets Serena- the connection between these two is basically instant- he's clearly hiding something from her, but when you find out the truth, he's just that much more endearing. I enjoyed the romantic build-up between these two, although I wouldn't characterize every encounter as "intense" but more sweet and romantic. There isn't much action in this novel, as it is very character driven, giving high priority to the build-up of the relationship between Serena and Linc. But there are some great supporting characters whom add a great blend of humour, angst and jealousy into the mix. B.B. is one character I wouldn't want to mess with! Readers looking for a romance they can read and enjoy in one sitting, should add Intensity to their TBR lists! 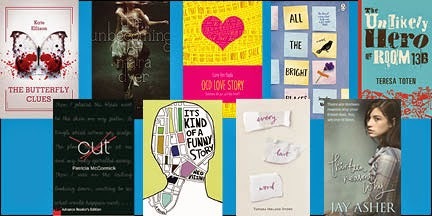 Favorite Aspects of New Adult: What makes a good NA read? New adult enables readers to hone in on an age group that appeals to them and is easy to relate to. The topics vary, but the majority correspond to the pangs of growing up and the beginning stages of “adult” life (i.e., first job, sexual relationships, college, entering the work force, etc.). This stage includes many “firsts” and therefore, help us relive a critical part that shaped our future. For some readers that may mean facing regrets or reminders of precious events that were a meaningful part of our past. Therefore, this genre packs a load of emotion into the stories. There are many authors that have paved the way for new adult. Some of my favorites are Colleen Hoover, Katy Evans, and Kendall Ryan. Colleen Hoover: Ugly Love, Hopeless, and Maybe Someday. Kendall Ryan: Filthy Beautiful Lies, Filthy Beautiful Love, and Filthy Beautiful Lust. As for what makes a good NA read, there are certain aspects that I look for. Appealing story: I’m an avid reader and get tired of reading the same storylines over and over. An NA novel should apply a different and intriguing angle to very common topics (i.e., first job, sexual relationships, college, entering the work force, etc.). Interesting characters: I’m a sucker for alpha, military, and men in uniform Therefore, the story would have to include those types of characters in order for me to read it. Also, I like independent, strong, and willing to fight for what they believe in women. Those preferences aren’t always applicable in the NA genre, so the plot is even more critical. The story would have to capture my interests in another way. Cross other genres: I enjoy reading mystery and suspense and look for both elements when choosing NA. Most NA stories address problems and issues that occur in real life. Therefore, a story that addresses secrets, overcoming life altering events, and using the past to positively impact the future are appealing and can draw many readers to this genre. But wait!!! 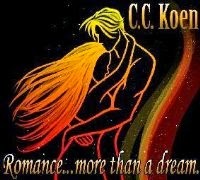 Before you go, Koen has an awesome INTERNATIONAL giveaway just for YOU! Special thanks to C.C. Koen and Xpresso Book Tours for allowing me to participate in this tour!!! This week's pick is a retelling of Beauty and the Beast - LOVE IT!!!! Hope you all had a great holiday season filled with tons of delicious reads! In case you missed it, the winner has been announced for the BOX OF ARCS giveaway, so if you entered be sure to check the rafflecopter to see if you've won (click on the photo and the top right of the page). 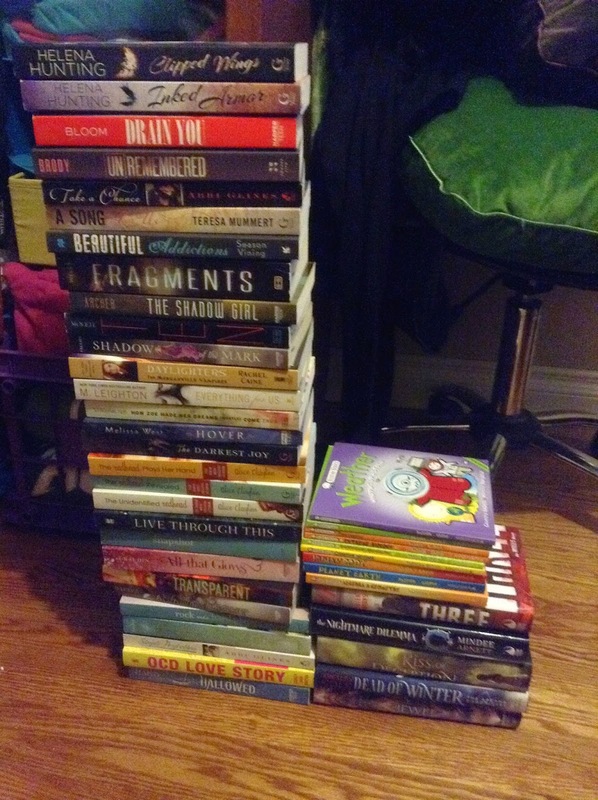 In the meantime, here are some titles that I added to my shelves over the season!!! 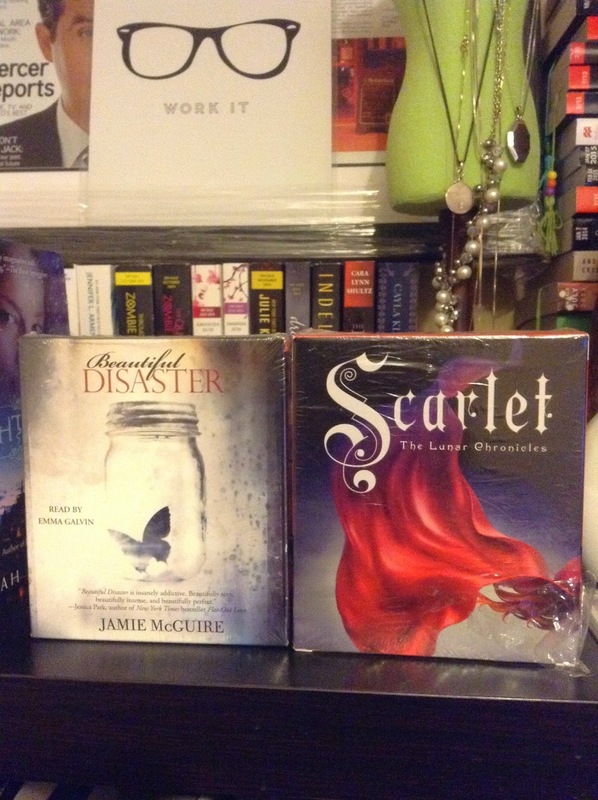 Super excited to have Audio books, these are my first two! That's my story this week, what's yours?